Directions: Lebanon To Malvern Street (east Side), House Is On The Left. Have we got the home for you! 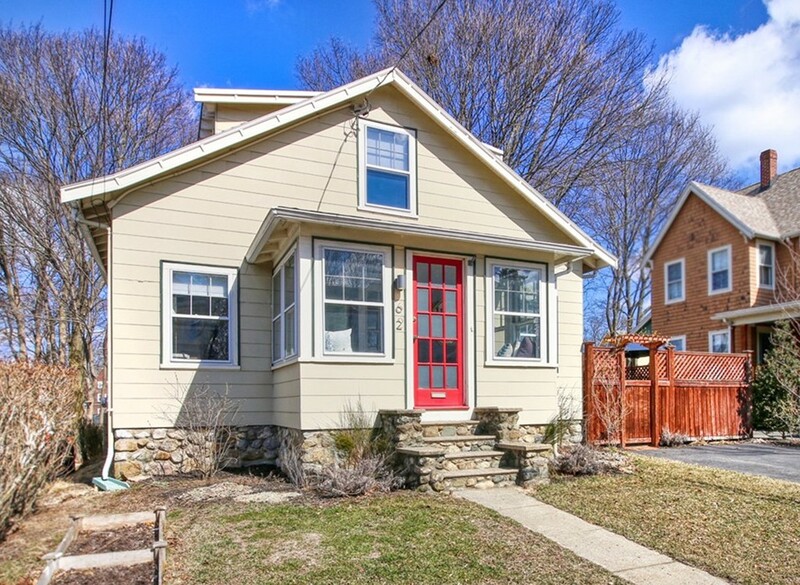 Charm and original detail abound throughout this lovingly updated and maintained Arts and Crafts Bungalow that offers exceptional space, a lovely neighborhood, quality updates and a flexible layout. Sun-dappled entry hosts built-in benches and opens to the main living space offering the feel of open concept, with the living and dining rooms graced by built-ins as well as a fireplace nestled between them. Granite counters, stainless appliances and maple cabinetry adorn the eat-in kitchen that hosts a mud room opening to the private patio. Hard to find first floor bedroom with adjoining enclosed porch, plus full bath with claw foot tub and study rounding out this level. Two generous bedrooms and sitting room plus full bath on the second. Enjoy thorough system updates: heat, HW, A/C, roof, insulation and much more! The flat backyard offers an oasis and respite with a beautiful perennial border expressly designed. Close to town, train, bus and parks - sweet!